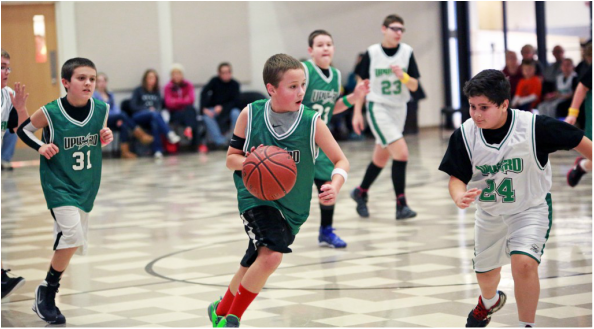 Upward Basketball is a fun and competitive league that teaches higher values and sportsmanship. Every child gets equal playing time and is encouraged to play to the best of their abilities, win or lose. *Since 2016 we offer leagues for boys in grades 1-3 and girls in grades 1-4. We strive to provide the best sports experience to every child on a cheerleader squad. Upward Cheerleading teaches young athletes the fundamentals necessary to succeed in cheerleading and also in life. This is not about perfect routines! It’s about learning skills as well as values like sportsmanship, teamwork and leadership. inning is about so much more than the final score. Upward Sports is a first-class sports experience that emphasizes healthy competition, sportsmanship, skills-building and fun. We avoid the win-at-any-cost mentality found in many children sports leagues that sometimes leaves players on the bench. Children will not only learn the fundamentals of basketball, but they will learn about the fundamentals of life through Bible studies and Scripture memorization. It is a fun-filled opportunity to get to know new friends and learn what Jesus has done and continues to do for us.